» Uncategories » Photo Of The Day:What Do You Think These Men Are Looking For? 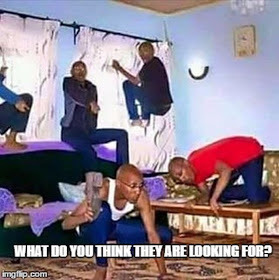 Photo Of The Day:What Do You Think These Men Are Looking For? By looking at this photo, its obvious that these group of men are searching for something. What do you think they are looking for? Title : Photo Of The Day:What Do You Think These Men Are Looking For? Description : By looking at this photo, its obvious that these group of men are searching for something. What do you think they are looking for? 0 Response to "Photo Of The Day:What Do You Think These Men Are Looking For?"